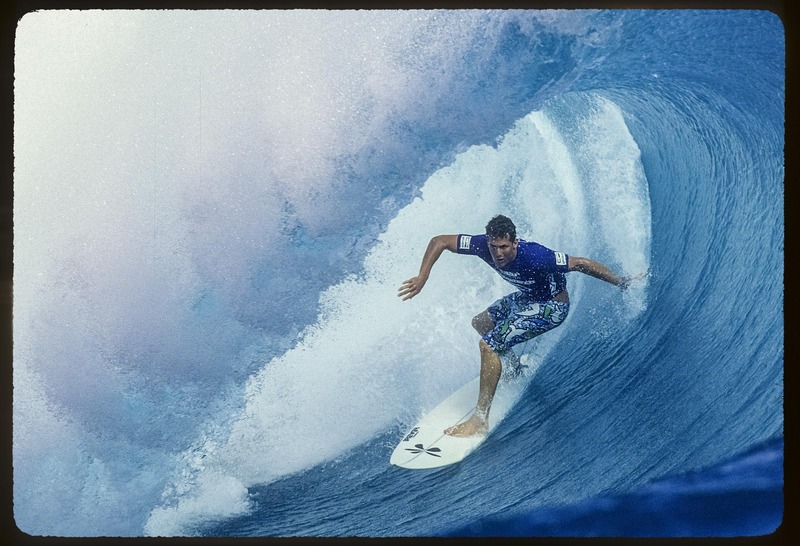 Andy Irons during an early Gotcha surfng contest at Teahupoo. I just recently found this shot in my collection of slides. Notice the absences of logos on the board.